POSTED FOR ANOTHER C21 AGENT. ZTEAM CAN HELP YOU WITH THIS PROPERTY. study with built-in cabinetry, open floor plan, treyed ceilings, & great storage. Newer appliances which do convey. Roof 2013, heat pump 2017. Large covered deck, small out-building. 45 x 24 metal RV barn. Property sits on 2 large lots. 15 minutes to Mtn Home. Front parlor could be a 3rd bedrm and study can close off. In the heart of MountainHome, a spacious 4 bedroom 3 bath home a greatplace for you to make new memories with your crew. Cooks' kitchen with breakfast space, cabinets & counters galore. All appliances stay including the wash/dryer. Formal dining & living room, 22x13 family room with Fire Place & Juliette balcony to dream from. Master is totally en'suite w/spa bathtub and shower and walk in closet. A Jr. Master Suite too, attached screen room to enjoy out doors anytime. Privacy fenced yard, and a spot is already prep'd for above ground pool,concrete patio for kids, entertain or install a hoop to perfect your jump shot. 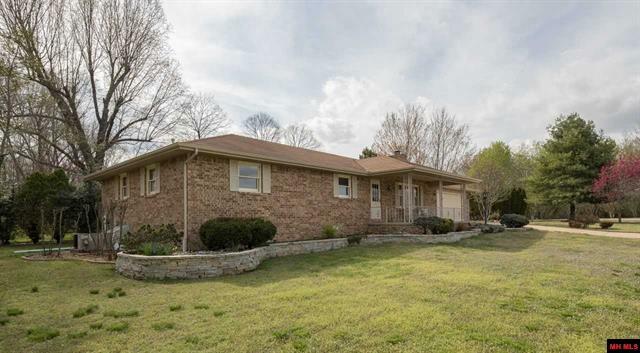 Lovely updated ranch on 2 acres with seasonal lake view located on Bull Shoals Lake. 2 large bedrooms with possible 3rd bedroom/office and 2 baths. Features a large living room, large eat-in kitchen with island, newer appliances and flooring. Has a full finished walkout basement, family room, fireplace, partial kitchen, extra pantry/work area. There is a 38x28 detached oversized 2 car garage with an attached overhang for RV/boat. 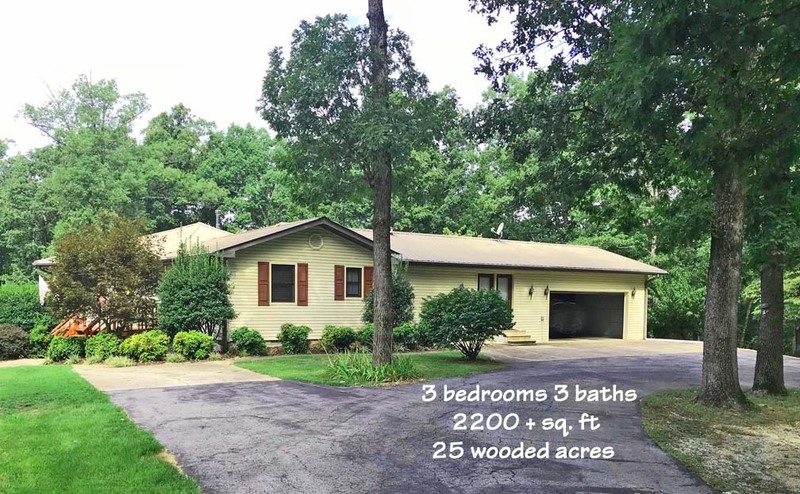 Quiet and serene with beautiful woods.Great location. Exceptional neighbors. Close to marina and town. Golf course nearby. An outbuilding you could practically live in. Serviced by White River Valley Electric Cooperative. 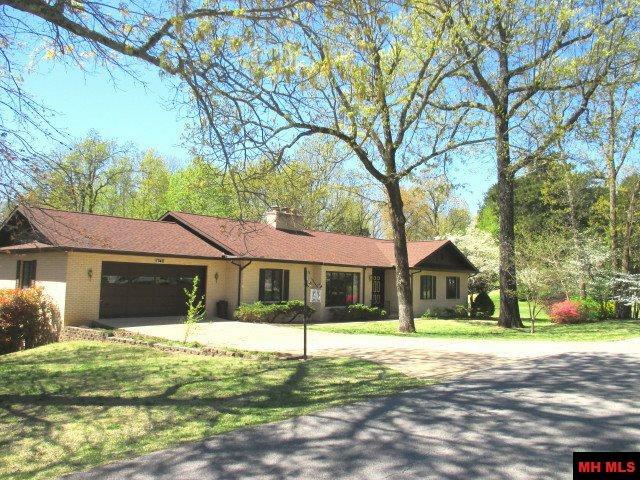 Beautiful home, 1756 SF, 2 car garage, 3 bedroom, 2 bath on 0.80 Acres M/L. Just outside city limits enjoy the feel of the country with lots of wildlife and still with all the benefits of living in town. Additional 825' detached building completely finished for a third car or boat very easy in and out on level lot. 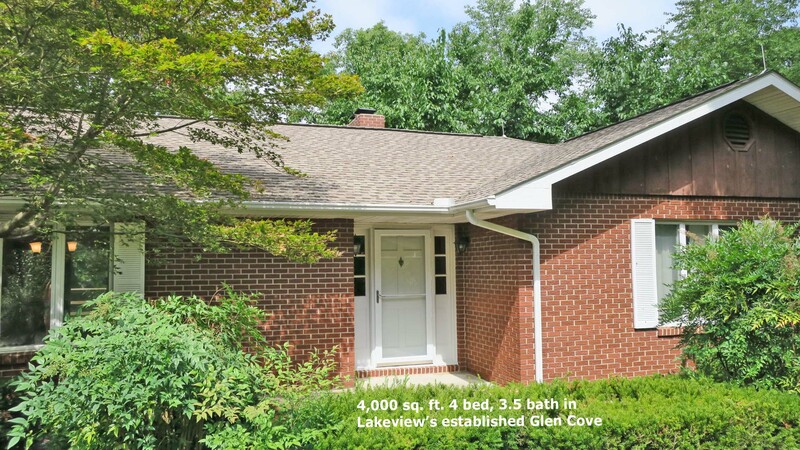 Tastefully remodeled brick ranch 4,000 sq. 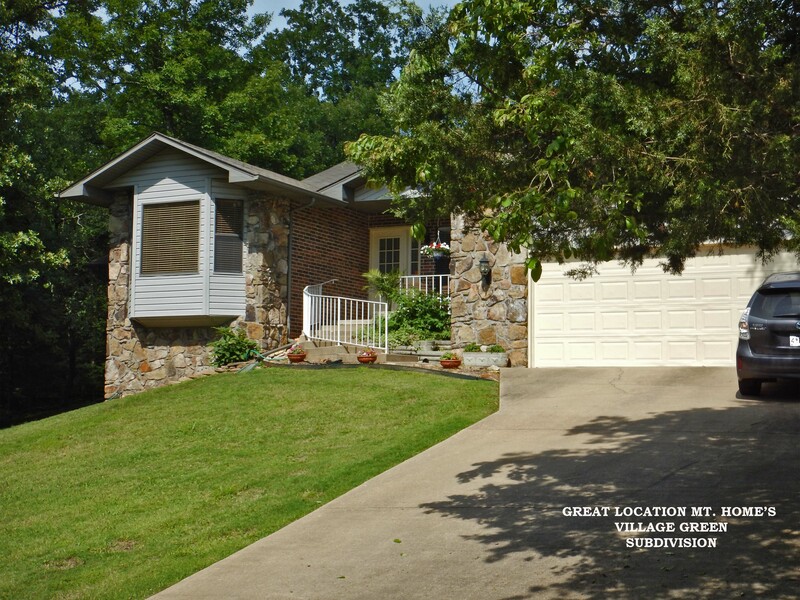 ft. 4BR/3.5BA, 2 car attached garage that is on Army Corp strip w/seasonal views of Bull Shoals Lake! Main level has new Maple & ceramic floors thru out the living areas. this home includes the formal dining room., Living room. wood burning Fireplace, a built in wet bar and windows to beautiful nature views. There are 2 patio doors that open to 36'x15’ elevated deck, great spot to entertain. Kitchen is a full remodel, with gleaming stainless steel appliances, granite counter tops, custom wood cabintes galore! Attached screen room. huge Utility room and washer dryer stay! Next is a 16x18 office/craft room that has storage and 2 built in desk spots. Also a 6x9 pantry with shelves for all your dry goods. Then on the lower level you find the poured concrete foundation. There are 2 bedrooms, 1 bath room that has been fully remodeled. A family room with a walk out to concrete patio. Also a wood burning fireplace and a huge 34x28 store room. This home also has a newer roof in 2012. READY & only 67.00 sq. ft.! Open unique octagon floor plan features spacious Living room that has lots of windows and sliding patio door to deck. Dining area also has room for larger table that can seat up to 8 guests. The Kitchen has breakfast bar & new stone counters, new flooring, lots of cabinets and the dishwasher, refrigerator, stove and microwave stay. This floor plan features 2 Master Suites each with a private bath & walk in closets, plus a 3rdbedrm & hall bath. Utility room is spacious and the washer and dryer stay! 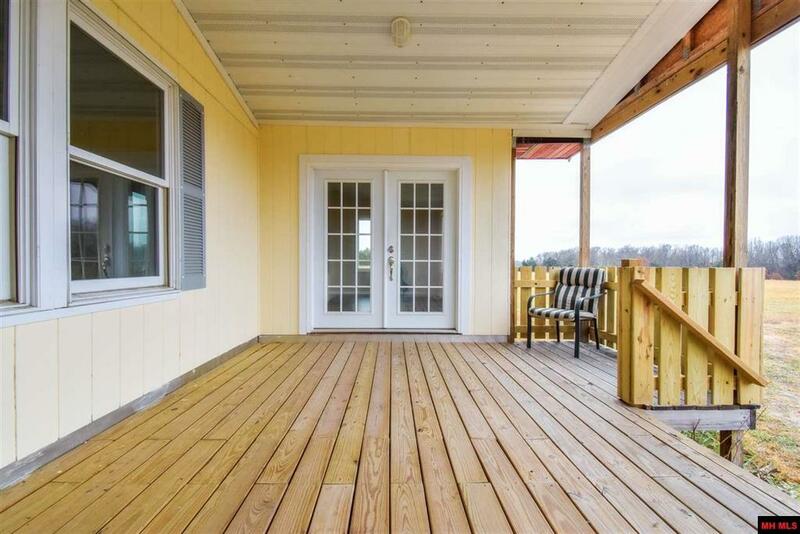 The attach 2 car garage, and a beautiful covered porch offers plenty of space to entertain, open deck space too & hot tub stays! A special 30x50 shop has RV oversized door, heated and cooled office space 1/2 bath, storage space galore and large workshop area. Well maintained home in desirable golf course neighborhood. Living room w/ gas log fireplace, kitchen has breakfast bar, main level has access to spacious elevated deck, 3 bedrooms on main level, lower level has recreation room, family room, 2 bedrooms, bonus rooms, workshop, 1 car garage plus storage, extra lot close to golf course, lake, and shopping. Includes home warranty. Located in Mountain Home, Baxter Co, AR. 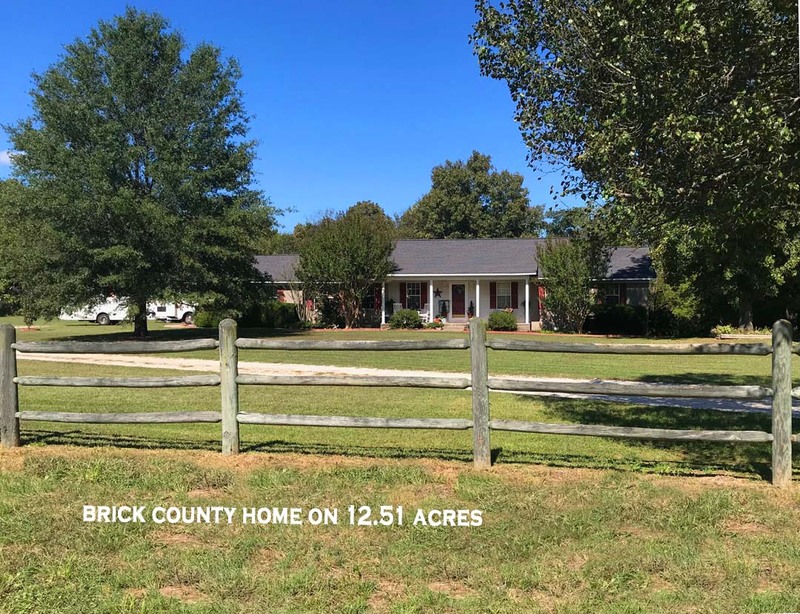 Custom brick home that is nearly maintenance free!Located just 3 miles from town on 12.51 country acres. Pasture & wooded, fenced for livestock. appliances. There is an in-ground pool, great view of mountains from house and yard. .
Also has small barn for livestock and storage shed for house. Great County Location good schools, shopping and services. A 28 x 15 eat in kitchen w/wood stove, wood cab., lots of counterspace newer appliances! You can fit an entire crew in this kitchen. A huge pantry with shelves floor to ceiling & large utility room, A big 12x 32 covered. deck while the birds sing you can hear the creek running past. 32x32 shop & shed, 7 deer stands, multiple fruit trees with apple,peach, grapes, and many berry bushes for eating or making jelly and jams. A Stocked spring fed pond with catfish, bull frogs and sun fish. 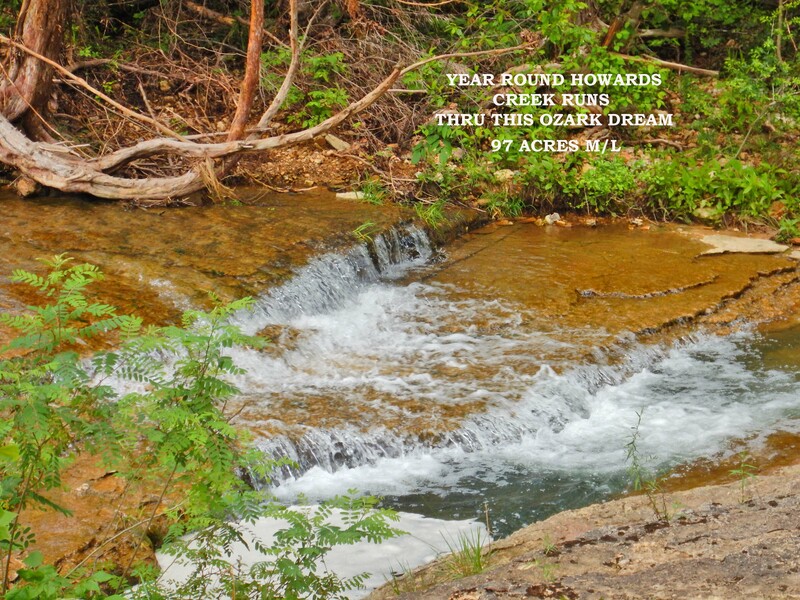 Howard Creek has several waterfalls, follow meandering shore thru Corp all the way to Bull Shoals Lake. Constructed with low maintenance and low utility costs in mind. 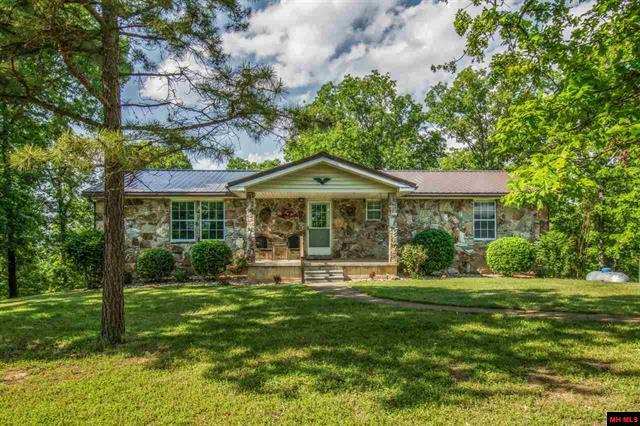 This custom built, 1800 SF, 2 BRM, 2 BA ranch style one-level home has a very private setting. The covered deck has a high-end hot tub with multiple functions. The kitchen is a masterpiece with top-end appliances and solid oak cabinets. All halls and doorways are wheelchair accessible. The land is mostly level and about 1/3 woods and 2/3 fields with 2 ponds. The garage/shop is 24x44, all steel construction with a concrete floor.A remarkably level parcel of land, rural setting, dominated by larger holdings. A nice sense of privacy, 2 ponds, suitable for 2 or 3 horses or cows. Abundant deer and wild turkey. 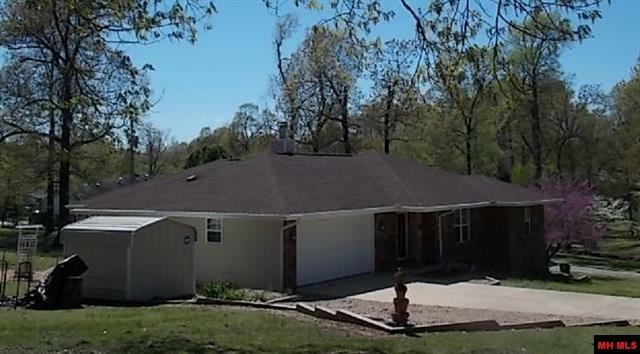 Top notch construction, with everything near new, including septic system and private well. The custom built house is a masterpiece of quality planning and building, with light roomy feeling throughout and the best of everything used in its constructions: the windows, floors, walls, plumbing, cabinetry, wiring, and more.